Footage filmed off the coast of Hyogo Prefecture in 1937 depicts what was then a common scene. A line of small boats drifts into view, forming a semicircle connecting a string of nets in a peaceful cove. Suddenly, the sea erupts in a tumult, as groups of men rush from the shore into the water, tackling thrashing albacore tuna and dragging them to the beach with long, hooked poles. It’s a sight that is unimaginable today, in the age of large-scale and terrifyingly efficient industrial fishing. Although populations of Atlantic bluefin tuna have risen recently, according to an assessment by the International Commission for the Conservation of Atlantic Tunas, roughly 97 percent of Pacific bluefin tuna have vanished. The problem is not limited to tuna. Despite the apparent bounty of Tokyo’s Tsukiji fish market, Japan’s once-plentiful supply of fish has been declining for decades due to overfishing, habitat loss and increased industry competition. In a 2014 article in the journal Education about Asia, Victoria Lyon Bestor and Theodore C. Bestor note that, by the 1930s, Japanese fishing fleets were twice the size of any other nation and had already begun to deplete local stocks. The Food and Agriculture Organization of the United Nations (FAO) estimates that more than half of the region’s wild fisheries are now over-exploited or completely collapsed. While awareness of overfishing has increased, Japan lags behind other major fishing powers such as Norway and the U.S. in terms of sustainability efforts. 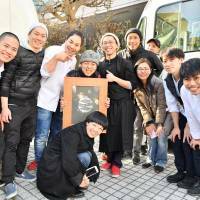 Lack of consumer consciousness is largely to blame, posits journalist Hiroko Sasaki, one of the founders of Chefs for the Blue, a new project that aims to connect some of Tokyo’s top chefs with marine scientists, NGOs and sustainable seafood purveyors. “Japanese media rarely report the bad news, so most people have no idea about fishing practices,” she says. Although demand has been decreasing among younger generations, Japan is one of the top five consumers of seafood globally and maintains a strong domestic fleet while also relying heavily on imports. Shrinking domestic stocks, which have already affected the fishing and restaurant industries at home, carry consequences for the global supply chain. Reports by the FAO and World Bank warn that without improvements in sustainable practices, the global demand for fish may outpace supply in the coming decades. While working on a newsletter about overfishing two years ago, Sasaki was shocked by the findings. She began discussing the issue with restaurant industry professionals, only to discover that, like consumers, many chefs were unaware of the scope of the problem. Teaming up with marine expert Toshio Katsukawa, associate professor at Tokyo University of Marine Science and Technology, and chef Shinsuke Ishii of restaurant Sincere, she gathered more than 30 chefs for midnight study sessions to shed light on the predicament and brainstorm a plan of action that would leverage the power of star chefs to influence consumer habits. The group has held lectures and events featuring sustainably sourced seafood, including a food truck fair at the Farmer’s Market at United Nations University last autumn. In March, Chefs for the Blue won a $10,000 grant from the NGO Conservation Alliance for Seafood Solutions and will travel to Barcelona to participate in the SeaWeb Seafood Summit this June. 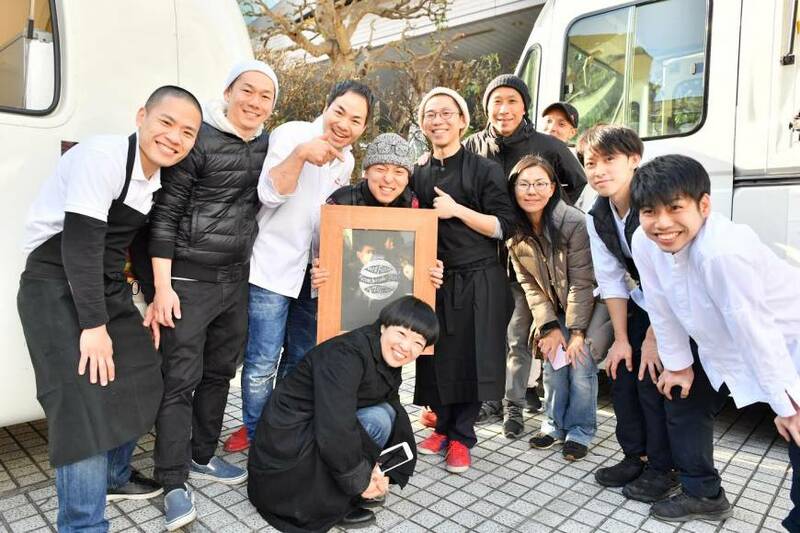 Chefs for the Blue and its partners, NGO Sailors for the Sea Japan and consulting firm Seafood Legacy, are part of a small but growing movement to promote sustainable seafood in Japan. Sailors for the Sea publishes a “blue seafood” guide of fish with healthy populations, while Seafood Legacy links NGOs and businesses to build a more transparent and sustainable supply chain. In 2016, Ocean Outcomes — an international nonprofit organization with operations in China, Japan, Russia and South Korea — launched the first Fishery Improvement Project (FIP) in Tokyo Bay to monitor Japanese seabass populations. The program assesses stocks and works with regional research agencies and fishermen to determine how the industry can encourage best practice. Fumio Yonezawa believes that the initiatives “will take 10 years or more” to have a real impact, but he and the others remain dedicated to the cause. “The most important thing is that we continue to inform the general public,” he says. This is part one of a monthly series exploring issues relating to food sustainability in Japan.